Small Block Chevy, 3.335 Stroke, 350 Main, 2.000 Rod Journal, 2 Piece Rear Main Seal, 4340 Forged Steel. Proven High Strength Reliability, after years of service, Magnum crankshafts by Callies have established themselves as one of the most durable competition crankshafts ever produced. Magnum crankshafts are manufactured from ultra pure AISI 4340 steel. Callies then subjects this material to multiple heat treatments including our proven Ultra-Case nitride process. This heat treatment method produces a deep case that enhances strength while creating an extremely hard load bearing wear surface. The Ultra-Case process generates a layer of hardened steel deep enough to maintain its integrity even after a -.010 regrind. All Magnum cranks will have gun drilled mains and fully profiled counterweights, regardless of engine type. Magnum crankshafts are available for a variety of engine types and can be manufactured to your specific configuration. 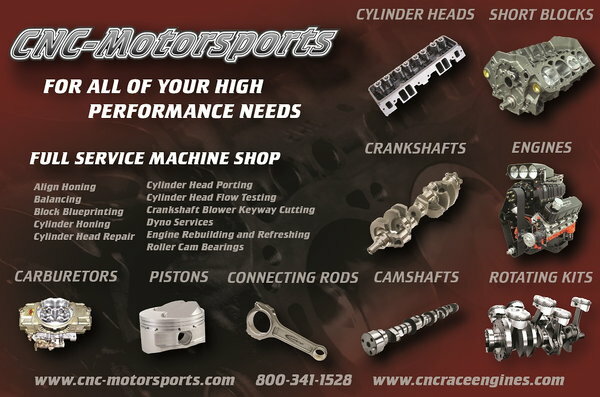 Call us for all your crankshaft and engine part needs.